Hochschule für Musik Detmold: incompetent, heartless, or divided? This is an open letter to the students and staff of the Hochschule für Musik Detmold, explaining why I will not be taking up the newly-created post of Professor of Historical Performance Practice, offered to me and accepted at the end of February. I remain passionately enthusiastic about the idea of establishing a 21st-century Early Music department integrated within a modern conservatoire, founded on cutting-edge research, evidence-based teaching and high-quality performance. I have invested considerable time and money planning and travelling to Detmold for interviews and meetings. But without any warning to me, and apparently without consulting or even informing the Appointments Commission (the committee responsible for intervewing candidates and selecting a consensus choice), Rektor Grosse emailed me to cancel my week-long first visit and withdraw the job-offer. This cancellation is most irregular, and may not be legal within the Hochschule’s rules and German law: it would seem to constitute breach of promise with me. At the very least, it is inexcusably rude. The cancellation was sent on Friday, whilst I was on tour in Quito, Ecuador (7-hour time difference): the meetings had been confirmed to begin on Monday. I had already arranged travel for myself and my baroque harp from Quito to Detmold. I replied immediately, but the Rektor’s action remains a fait accompli. His abrupt volte-face is supported by Dekan Lindhorst, who only two days previously had emailed confirming my visit, and promising to send further details soon. en route from directing baroque opera in Moscow to a USA tour with Jordi Savall. en route from Spanish baroque in Japan to Italian madrigals in Berlin. I had allowed “office time” to respond to any decision by Detmold, but there is two and a half months’ silence. This week I was on tour in the Canary Islands and Spain, with travel, rehearsals and concerts daily. During this time, I searched my email servers and wrote to the Appointments Commmission, assuming that I’d somehow missed a previous, more explanatory message. But there had been no previous message. I am not often at home is an understatement. In 2019 so far, I have had 4 nights at home in January, and 3 in February, nothing more till mid-April. This is a most significant message, since it explains the difficulty of phone and even email communication on tour, and (crucially) provides a ‘hot-line‘, by which the Hochschule could reach me urgently. Unfortunately, the Hochschule never used this ‘hot-line’: according to the Rektor, their messages were “not yet urgent”. “I didn’t have any warning that I might need to travel to Detmold this month. My directing schedule in Moscow is even more intensive than I expected. I’m going home to visit my parents who are both undergoing hospital operations: this is my only time at home from early January until mid-April. From Feb 26th until mid-April, I have only a few, isolated, single free days. This does not give enough time to travel to Germany and back. This is another highly significant message, explaining my pre-existing professional and personal commitments Feb-April. Detmold had advertised for a ‘high-profile performer‘: presumably they would expect such a person to be internationally active and fully booked months in advance, albeit someone planning to create space for the post, if offered. During this conversation, we agreed on the week beginning Monday 15th April for confirmed meetings in Detmold. In addition, I undertook to try to negotiate enough time away from my opera duties in Moscow for an additional visit in March, if possible. That same evening I visited my Father in hospital. It was to be the last time I saw him. Returning to Moscow, I had an intense, fast-changing schedule. directing 15 performances (plus a full-house Press Night) of 4 different operas in 2 different theatres. One of these shows was a new production, with lengthy and intensive rehearsals. There was no possibility for an additional, preliminary visit to Detmold. Meanwhile on 20 March 2019, my Father died at his home in Guernsey. The only possible date for the funeral was for 11th April, when I had to be in Ecuador. “The schedule in Moscow was gruelling, with rehearsals, performances and meetings all day, and limited connectivity. But in the middle of this, my father died and all my remaining time and personal capacity has been taken up with the family. Meanwhile on 1st April, my mother was flown from Guernsey to hospital in UK for elective heart surgery. On 3rd, she was in Accident & Emergency in Guernsey with a lung condition. On 5th, she was re-admitted to a specialist ward, under Intense Observation. Simultaneously in Moscow, the first week of April saw 3 rehearsals and 4 performances of 2 different baroque operas, directed from the continuo by ALK. What time remained for administrative work was taken up in organising travel to Ecuador and back to Detmold as agreed, now with at least four full days at the Hochschule. Arrive Tallinn. Awaiting confirmation of Festival schedule in Quito. Flights Tallinn-Frankfurt and Frankfurt-Madrid with harp & psaltery arriving around midnight. 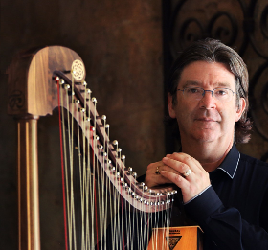 Flights Madrid-Atlanta and Atlanta-Quito with harp & psaltery, arriving around midnight local time. Recovery day, and preparations for concert, lecture-recital and master-class. The Dekan confirms a meeting with a group of Detmold colleagues for Monday 15th, 19.00. The Dekan will send further information later. In Quito, late at night, after I finished work, I recorded and posted to Facebook a piece of music, in memory of my father. In Guernsey, the funeral for my father. In Quito, last-minute changes: a scheduled master-class becomes a lecture & the solo recital is brought forward a day. Rektor to ALK Meetings confirmed for Monday onwards are cancelled. The “call” to the professorship is withdrawn. I wrote back immediately . I suggest an immediate Skype conversation. Rektor to ALK Detmold did not use the ‘hot-line’, because the matter was “not yet urgent”. Some kind of confirmatory “signal” had been needed from ALK. ALK to Rektor Why was the ‘hot-line’ not used, when the matter did become urgent? And I reconfirmed on 1st April. In Ecuador, lecture-recital then Quito overnight to Atlanta, day stop, then overnight to Madrid, re-check suitcase to Frankfurt and on to Dusseldorf. Leave instruments at left luggage, and new flight onwards to London, where I stop overnight. First flight to Guernsey Monday morning. Meanwhile, re-planning travel for the following weekend. A lot of disappointment, a lot of disruption, considerable expense. Were the Hochschule’s communications professionally competent? The meetings for 15th April onwards were a firm booking, made directly between ALK & Rektor Grosse during the Skype call 23 Feb. The Dekan knew the dates, but asked on 25th March for ALK to re-confirm. ALK confirmed on 1 April, extending his visit to three days. The Dekan re-confirmed on 10th April giving a specific time for one event. On 12th, ALK was set to inform of the extension to four days, but the Rektor’s last-minute cancellation intervened. On two previous occasions, simple confirmation had been enough for ALK’s visits for interviews, similarly involving intercontinental travel to and from Detmold. If any doubt remained after 1st April about this oft-confirmed meeting, a request for repeat confirmation could have been sent, with enough time allowed for a reply from Moscow or Quito. But the last message before cancellation was the Dekan’s confirmation, which even gave a specific time. If there was any urgency, a message could have been sent via the ‘hot-line’, or a routine message quickly copied to my partner. This was not done. Cancellation came from the Hochschule at the last moment, suddenly and without warning. Was there perhaps some lack of clarity in the Hochschule’s internal communication (between the Rektor, his office, and the Dekan)? Was the ‘hot-line’ perhaps not shared with the Dekan? But nevertheless the meeting was confirmed and re-confirmed many times. Did the Hochschule make fair allowance for my pre-existing professional commitments and for unforeseen personal and family circumstances? The advert was for a ‘high profile performer‘ and they chose in me the world leader on my chosen instrument, an internationally active performer as soloist and opera/orchestral director, and an international-level senior researcher. They should not have expected my diary to be empty in the month prior to my appointment, and indeed I warned them that March 2019 would be exceptionally busy. They could reasonably expect that, once appointed, I would make time available for meetings and teaching duties, and this I did. The two days that they asked for in mid-April, I extended to three days, and then to at least four. I also kept space clear in my diary for the following months. At interview, I had discussed openly with the Commission questions of regularity of attendance and level of commitment. It was generally agreed that in a part-time position, my work should be concentrated into intensive project periods. I frankly admitted that I would not be able to come “every Tuesday at 10am”. I was asked how much time I would give to Hochschule projects, when I was “in residence” in Detmold. I answered by comparison to my opera work in Moscow: once I’m actively engaged in a project, I will work as many hours as are needed. I think the Commission were satisfied with this answer, in relation to my commitment to Detmold. Similarly, I was committed to give as much time as needed to my previously contracted projects, in the month before I started at the Hochschule. As an interim measure, I had given the Hochschule private contact details, as a ‘hot line‘ for urgent communication. And alongside this, I had begun setting up a professional secretarial/assistant service with a professional arts manager, in order to facilitate communication once I started at Detmold. But the Hochschule did not attempt to contact me via this ‘hot-line’. I informed the Hochschule of my father’s death, but not (until afterwards) of my mother’s hospitalisation. One might reasonably expect a decent institution to show some sympathy for family emergencies, and to respect bereavement. But I understand that at high levels of artistic and organisational responsibility, working life must continue even in the face of personal tragedy. I made every effort to maintain full professional engagement with the ongoing productions in Moscow, with the immediate planning for Quito, and also with advance planning for Detmold. It seemed to me that the Detmold planning was proceeding normally, until the Rektor suddenly cancelled. I have only an outline knowledge of the Hochschule’s organisational structures, but my understanding is that power and responsibilities are carefully divided between the Rektor, Dekan and teaching staff, in order to balance central control, team consensus, and specialist expertise. The role of the Appointments Commission is to select a candidate, according to criteria and for a job description previously agreed by proper procedures. As I understand, in spite of their particular leadship roles, it would be improper for any Rektor or Dekan to attempt to reverse the decision of an Appointments Commission. As far as I know, members of the Appointments Commission were not consulted in advance, or even informed at the time, of the Rektor’s cancellation message to me. If true, this might appear unseemly. With any such group of talented and passionate musicians and teachers as a Hochschule, it is inevitable that there will be differing views, sometimes strongly held. At Detmold, there may be one or more persons opposed to my candidacy, opposed to the appointment of a strong, authoritative and independent-minded personality, or opposed to the whole idea of such a post and/or the new department. Such views should be respected, but policy decisions and appointments should be made by proper procedures. It would be improper for any individual or group to reverse established policy or the decision of the Appointments Commission, by direct intervention outside those procedures. I made many friends and good acquaintances during my visits to Detmold. My first purpose in writing this open letter is to ensure that students and staff understand that I have not wavered in my enthusiasm for the prospect of working with them. Freelance musicians, especially those working in a foreign country, have very little power against established institutions. If they are mistreated, they do not have the resources to go to court; their careers may be damaged if they make any formal or public complaint. Some institutions even use the powerlessness of freelancers to frighten employed staff into compliance with unfair conditions. 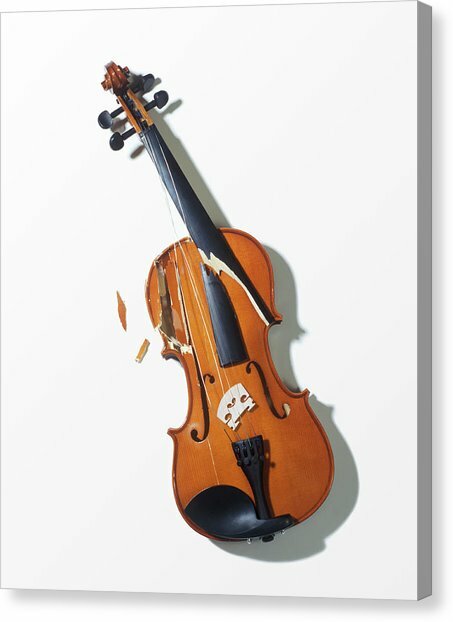 I know of many cases, involving myself and others, where institutions have mistreated musicians, knowing that there will be little resistance. I believe that I should tell this story, on behalf of other musicians who do not have the freedom to tell their own stories. I have offered, and I offer again, to build bridges and try to restore good relations with Detmold Hochschule. I would be happily surprised if the Rektor were to change his mind, and I have enormous respect for anyone with the strength of character to recognise and correct their mistakes. After a couple of days reflection, I hold no anger against anyone in Detmold, and my training as a musician and researcher encourages me to work effectively alongside those who hold different views. This was a month of extreme contrasts, of intense demands, of high professional and artistic acheivement, and of personal loss. My encounter with Detmold Hochschule became part of this mix of triumph and tragedy. I am honoured to have been chosen for the post. I thank the Commission for their confidence in me. And I thank my referees, Jordi Savall, Paul Hillier and Xavier Diaz-Latorre, for their support. I humbly consider that the Hochschule’s invitation enhances my reputation, even if the subsequent cancellation diminishes its own.